Before knowing about the top coaching institutes in India, let us know why a student should take IIT coaching? Why is it so important to get clear in this exam? When to get started with IIT coaching? Still, lots of questions may be there in your mind. But don’t worry because I will clear all your doubts and at the end of this article you will have a clear picture in your mind about the IIT coaching and can also choose the best IIT institute that can fulfill all your dreams. 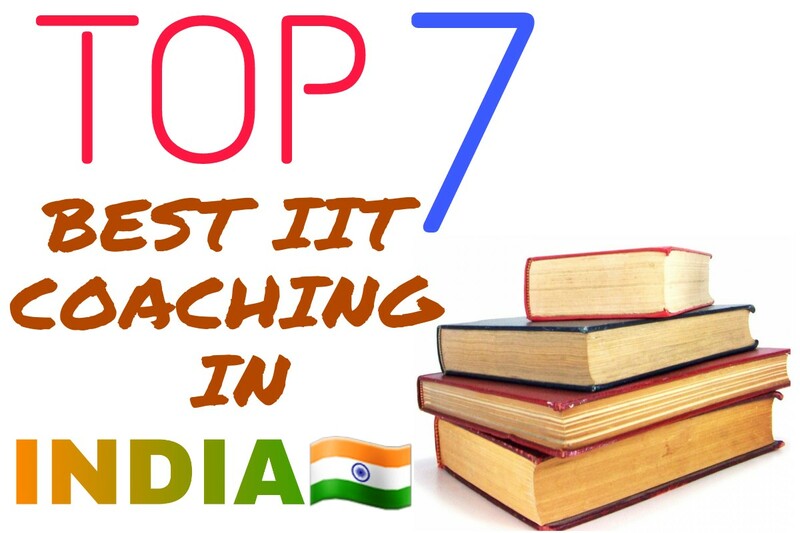 First I will say you about IIT coaching, its importance and when to get started with the coaching and later on I will discuss some top IIT coaching institutes in India. Why do you need IIT coaching? As we all know, IITs are one of the best institutes in our country. And the students who will clear the exam with good rank can experience the IIT life, different opportunities and can learn various skills in an IIT campus. In short, I can say is it will be a secured life with record packages. This was one reason for choosing IIT coaching. And another reason is that there is a severe competition across the country. No one wants to be a loser. If you also want to be the best of all of your friends then here it is. IIT coaching will make you best so that you will not be lesser than anyone else and can live a luxurious life. 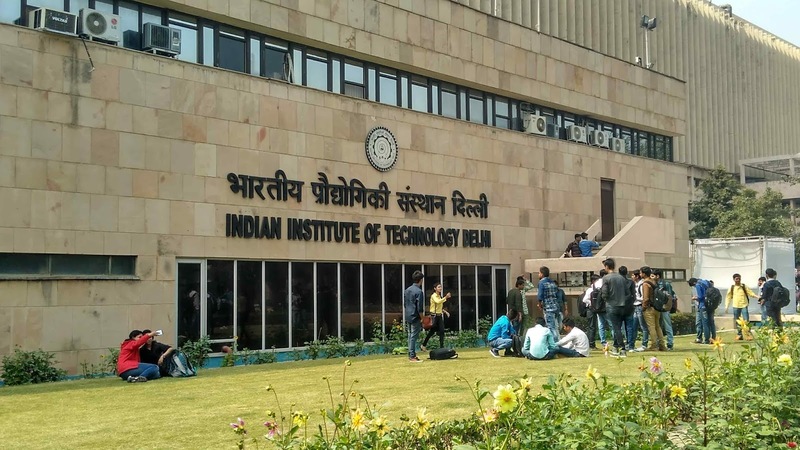 Can we clear IIT without coaching? Yes, you can clear IIT without any coaching. But remember one thing that on average, out of 50 students, 49 students clear JEE with the help of coaching and only 1 student can clear JEE without any help of coaching. So I suggest you clear the exam with the help of coaching itself. This will be the better option. And one more reason for the necessary of IIT coaching is that without proper guidance you may be clueless about the right preparation strategy. You may not get through the right study materials and mock tests. And moreover, even if you solve some test papers by yourself, you need to get checked them by mentors and follow their feedback so that you can correct your mistakes. When you should start IIT coaching? Well if you want the right answer then here it is. It depends all upon your interest and capacity. Let me give you an example. Simarpreet Singh Saluja is JEE Main 2018 topper in Delhi region with AIR (All India Rank) rank 9. He started his IIT coaching in class 6. You may think its very early age to start. Yes, it is the very early age to start. But Simarpreet said that “My faculties gave me the right direction and support and helped me to develop my skills quite early in my career”. Starting in early age may help you in developing IQ, logical and Analytical thinking. And will also provide a solid foundation for JEE Exam. But there are many students who have started coaching in class 8,9,10. And there are also some students who started their coaching in class 11 and cleared their exam easily with a preparation of only 2 years. The only advice I can give you is if you start coaching at your early age then go for it for a year. And later continue if you are interested. If not then you can start it in class 8,9,10 or even 11. It’s all up to your interest and capacity. I guess now you are clear about why and when to take IIT coaching. 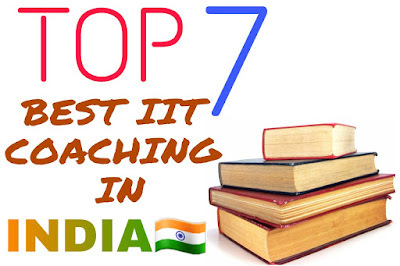 Now let us know about the top IIT coaching institutes in INDIA. Below I will give you a list of best coaching institute for IIT. So that you can get the best coaching for IIT and can make your future bright. First I will give you the list and later on I will explain about the institutes in detail. You can choose this institute without any hesitation as it showed fantastic results in past few years in JEE Main and Advanced. More than 2000 students have cracked JEE Advanced and more than 25000 students have cracked JEE Mains. If you are thinking that in such big institute they will give attention on your studies or not, no need to worry as they will focus on each and every student’s studies so that they can get a good rank. They will help you in all important entrances. Their focus will not only be in JEE Advanced but also on mains, BITSAT and also board exams. As per the ex students of ALLEN KOTA, the faculties are well experienced and are masters in their own fields. There are separate teachers for all topics so if you want to crack JEE then go for ALLEN and for the people who are Hindi medium, this will be the best option for you as they will give separate classes for Hindi medium students. If you want to crack JEE Advanced then this college will the best option for you as VIBRANT ACADEMY is known for its JEE Advanced coaching. When we see the JEE Advanced results then it showed best results so far. More than 1400 students have cracked JEE Advanced out of 2800 students. When it comes about the faculties top 3-5 batches are one of the best faculties in India. There are no separate classes for Hindi medium students. And the most important thing is they will focus more on JEE Advanced when compared to other entrances exams. This is the best IIT institute that any student can have. 2 students in top 100, 9 students in top 500 and 20 students in top 1000 All India Ranks secured by Integrated School Program. According to 2015 JEE advanced results, 668 students of FIITJEE South Delhi Centre from all programs have qualified. According to FIITJEE Topper Arpit Agarwal who secured AIR 1 rank, he says that this institute responds to any kind of complaints and issues. AITS test series of FIITJEE is considered to be the best test series. Faculties are highly qualified and even if you have any issue with faculty then they will change the faculty and they give ample of time to clear your doubts. If you are searching for an institute near Delhi then this is the best option for you. For the people who all are interested in studying in south India then here it is. This is best institute. Sri Chaitanya IIT Academy and Narayana Coaching are two premier coaching institutes in Telangana and Andhra Pradesh for Medical and Engineering entrance exams. Before they were rivals but now they are collaborated.Now they established new coaching centres called CHAINA which is Sri Chaitanya Narayana IIT academy. According to the 2016 JEE Mains results, this institute got top 3 IIT ranks. And the people who are searching for best hostel facilities then Madhapur campus would be better option for you. But this is a institute where there will be lots for pressure for studies and you can also be frustrated about it. The timings are, 6am to 1pm and again from 2pm study hours starts till 8pm. If you want this institute then you need to adjust with the timings. It is rated 4 stars. This is an institute is good as it has secured good results in past few years in both JEE Advanced and mains. More than 3500 students of this institute have cracked JEE Advanced. When it comes about faculties, top 2-3 batches are experienced and are capable to guide you in weakness and make you better to crack the exam. But the lower batches will not get better faculties when compared to top batches. And here is another institute for hindi medium people. There are separate classes for hindi and English medium students and they are equally treated. They take care of average students so that they can also score good rank in entrance exam. Here it is another institute for you if you are searching for best IIT institute in Delhi. The faculty are best and are qualified from IIT. If you are hardly determined then this is the best college for you. This is best for JEE Advanced. More than 40 students have got rank with in top 1000 in JEE Advanced. If you are worried about the attention and care for the students then don’t worry because they have small classes so that there will be more attention showed to each student. And no need to worry about extra materials as the material which they will provide will be enough to crack the entrance exam. This institute is highly ambitious and innovative educational program. “Ramanujan School of Mathematics” under this banner this institute is running this program. This institute hunts for 30 talented students who are economically backward sections of the society and shape these students. In the last seven years, this institute has produced hundreds IITianS from extremely poor background. As they are very poor so they will provide absolutely free coaching, food and lodging. This institute produced 100% success in JEE Mains and advanced. So if you are economically weak and are more dedicated about the studies then this is the best option for you.